Space: There's a lot of it out there! The constellation Auriga contains two bright areas of Ha emission; IC405 and IC410. The Baby-Q with the Moravian G3-16200 has a large enough field of view that I can fit both into the same picture. 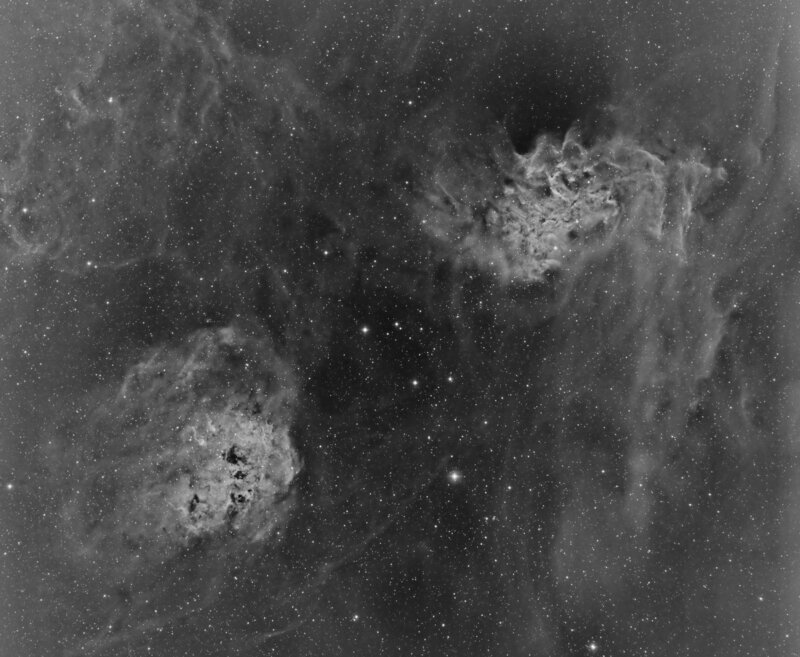 This is seven 20 minute exposures through my Baader 3.5nM Ha filter. Processed in Pixinsight.